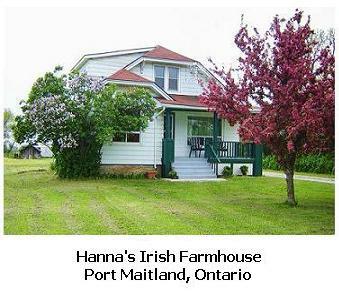 Located only 45 minutes from beautiful Niagara Falls, Hanna's Irish Farm Vacation House is a warm and wonderful place to stay! This completely renovated 1920's farmhouse is a comfortable home away from home for those looking for accommodation for a family vacation, either close to the Niagara area or for a rural farm holiday. There are three bedrooms, two are upstairs and have double beds, and a third bedroom has a futon and is on the main floor. You will receive a warm welcome here from Wendy and her husband - they supply a plate of home-made Scones and prepare tea, ready for your arrival! 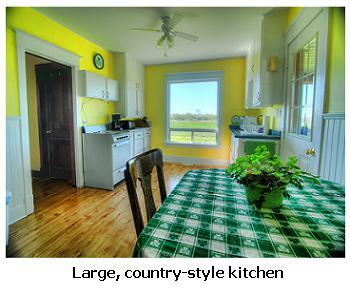 This 3-bedroom farmhouse is decorated with "a little touch of Ireland", reflecting the family's roots. This home was formerly the family farm and features hardwood floors, a big Irish kitchen, modern bathroom, central air conditioning and a digital flat screen TV. and the always popular, Bob the Miniature Donkey! There's lots to see and do in the neighbourhood - if you like fishing, the Grand River offers lots of opportunity to fish for Pickerel, Pike, Bass, Trout, Salmon and Catfish. Boating, golfing and skydiving are also available locally and the farmhouse is just 500 metres from the beach - how great is that! Or maybe you just want to enjoy the quiet rural life and the local sandy beach - most children love a "bucket-and-spade" holiday. 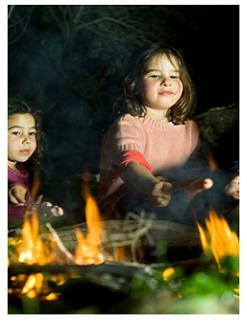 There is nothing so relaxing at the end of a busy day, as sitting around a camp-fire and toasting marshmallows - which you are most welcome to do at Hanna's Irish Farm House!